MRSA-UV LLC is a professional UVC disinfection company that develops and distributes the most advanced and affordable UVC products. ​ prominent companies here in the USA. 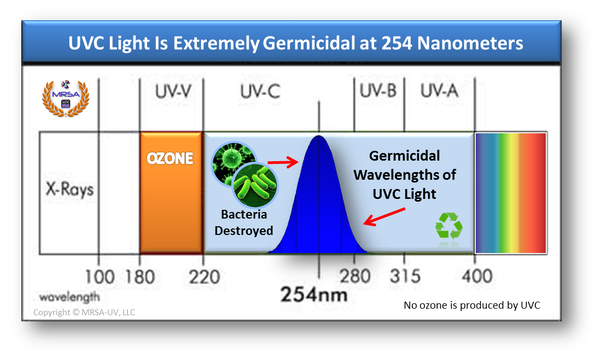 The application of UVGI to disinfection has been an accepted practice since the mid-20th century. 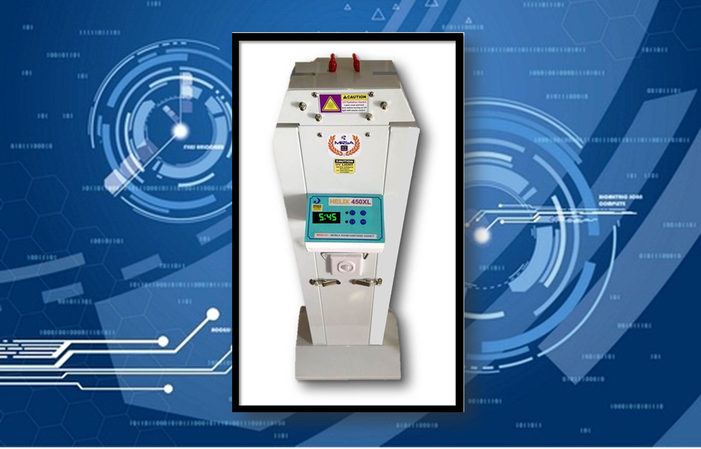 It has been used primarily in medical sanitation and sterile work facilities. Increasingly it has been employed to sterilize drinking, wastewater and now in every HVAC system. 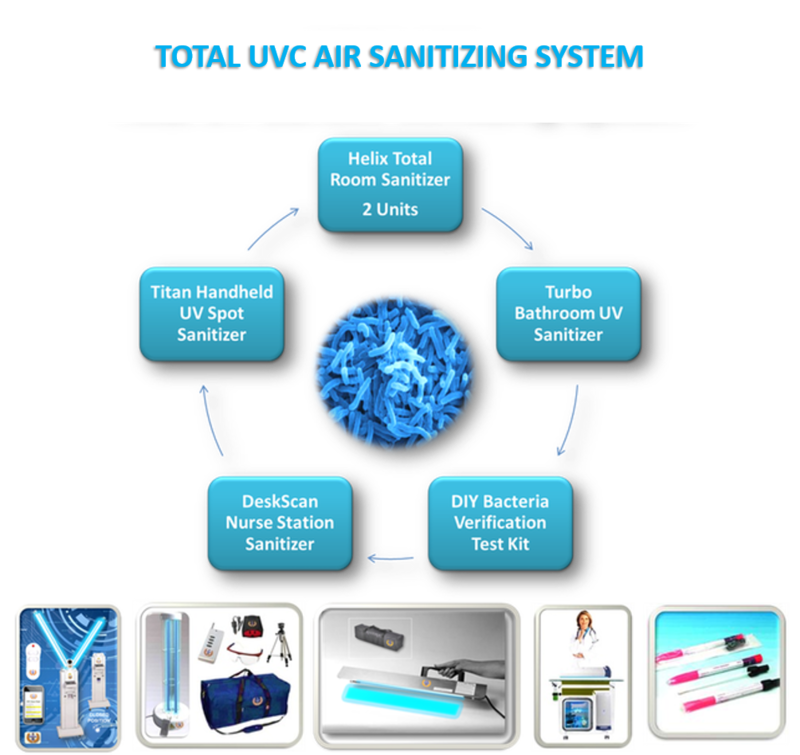 In recent years UVGI has found renewed application in air & environmental sanitization. 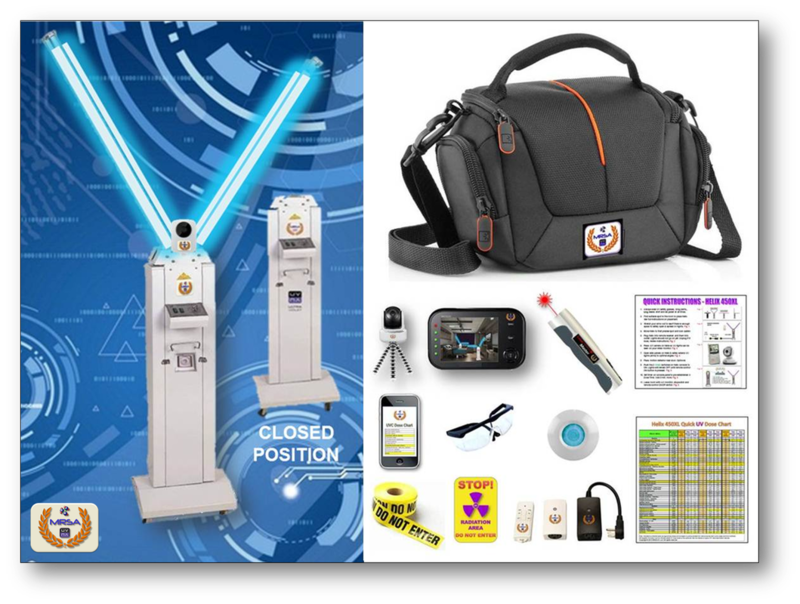 UVGI is a powerful and prudent adjunct to your existing disinfection program. 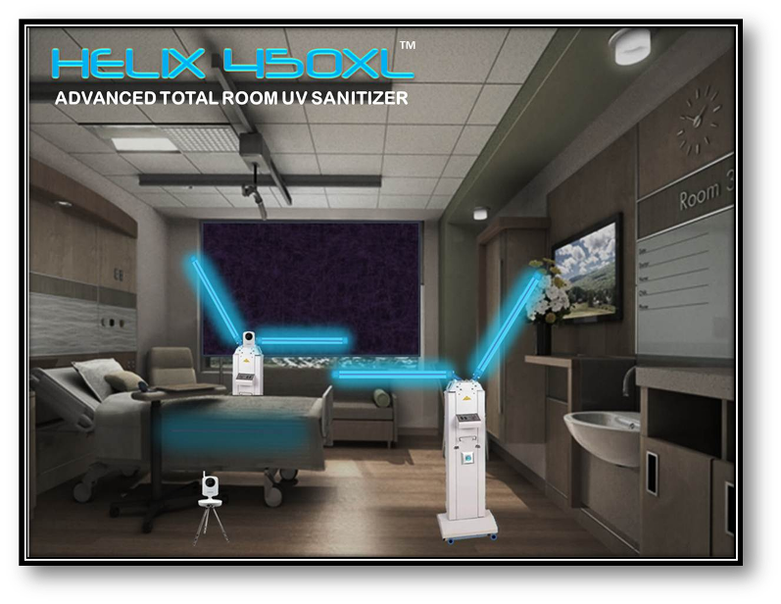 For even faster air sanitizing with reduced shadowing, two remote controlled Helix units places 8 powerful UVC lamps in a single room. 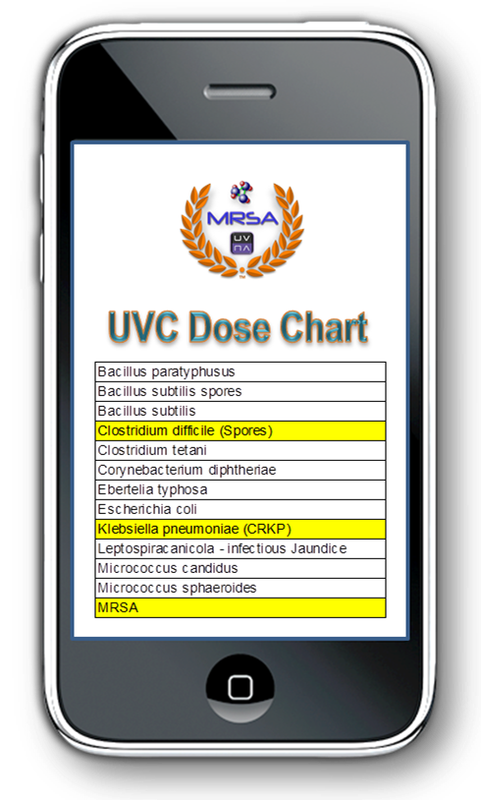 SureCheck UV cloud-based application will calculate UVC Dose Levels, keep track of treated rooms, how long they were treated, who treated them, were all safety protocols followed and so much more. Effective environmental air sanitation quickly and easily. Ultra light weight and remote controlled for easy setup. Only design on the market using four (4) UV-C lamps & two (2) adjustable arms to minimize shadowing. 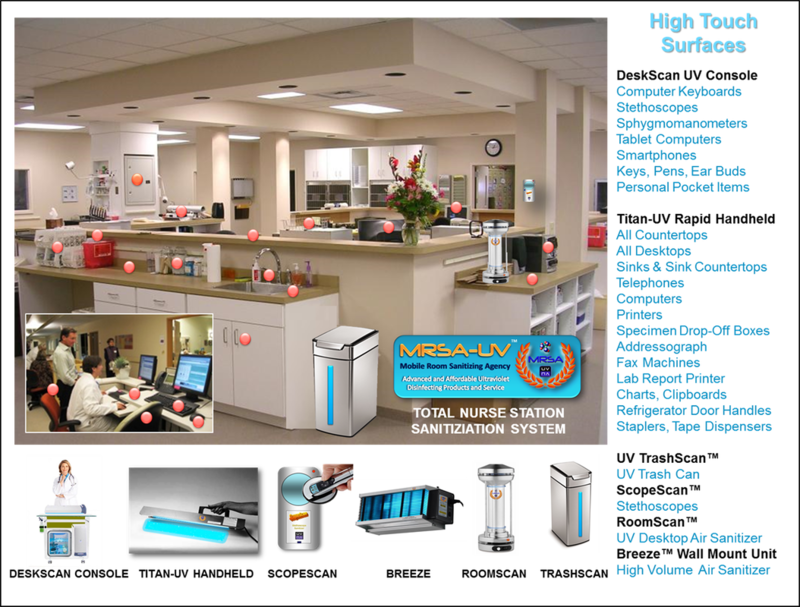 Sanitizes typical operating suites, patient rooms, waiting rooms, classrooms, cruise ship cabins and hotel rooms.. 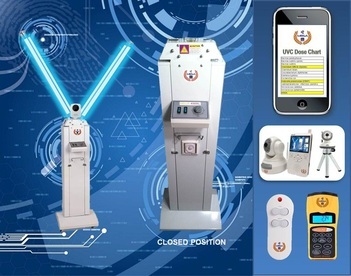 Persons can reoccupy treated rooms immediately after UV application. 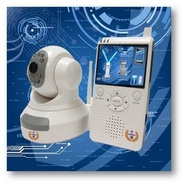 Has two IR motion detectors, camera and remote control to protect persons inadvertently entering during treatment. Room and Bathroom with a single treatment! 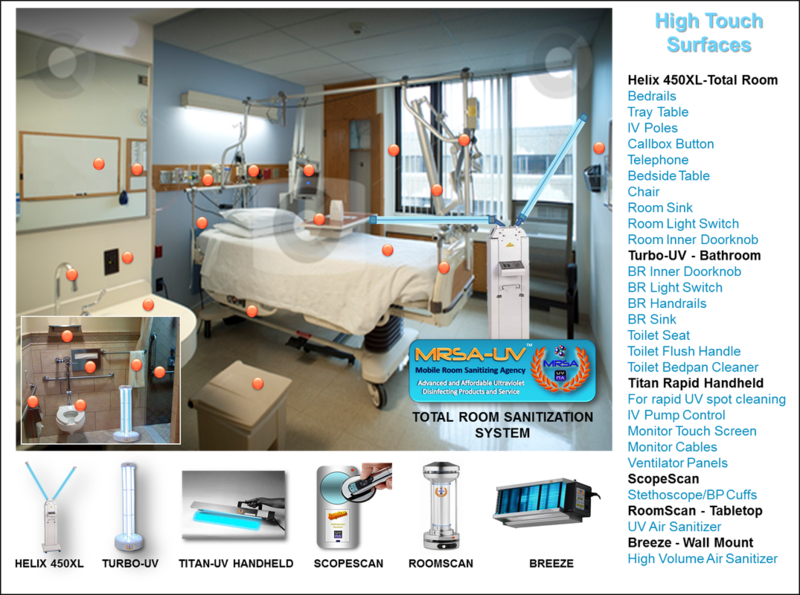 Very Rapid Room Sanitizing Using 2 Helix Units & 1 Turbo-UV in the Bathroom. 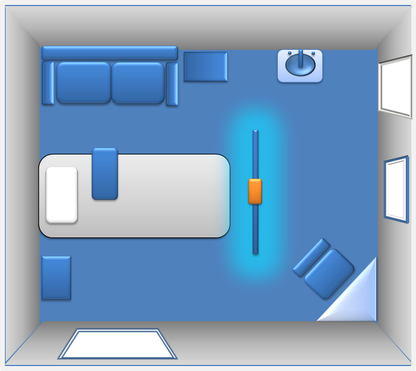 Our Helix 450XL for Large Rooms and Our Turbo-UV for Smaller Rooms and Bathrooms. 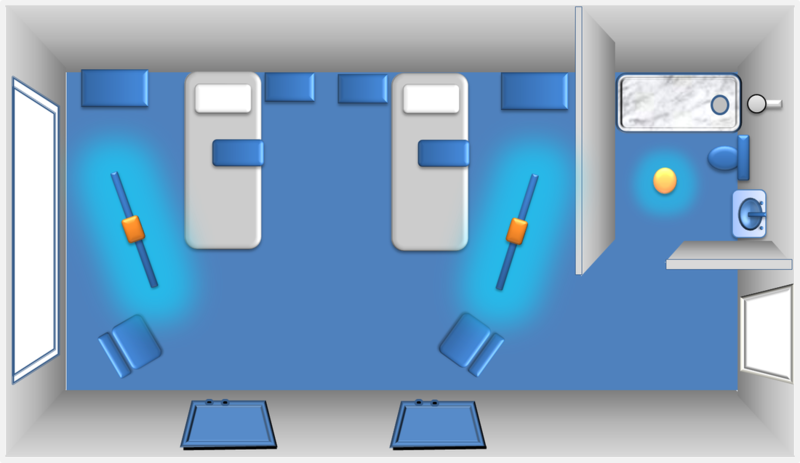 Our Helix 450XL is the most affordable yet advanced mobile room air sanitizer on the market. Copyright © 2012 MRSA-UV, LLC All rights reserved.